Last Updated: 16.12.18 By Adrian B. If you do an online search about the difference between these 2 levels … you will quickly be overwhelmed with a lot of confusing information that won’t help you understand anything. That is why I came up with this article! I will answer the above question and others about these two construction levels in this article. So keep reading to learn more! To be honest, I have not seen a builder’s level or the transit level on a construction site, not on the multi-million construction sites that I’m working on anyway! 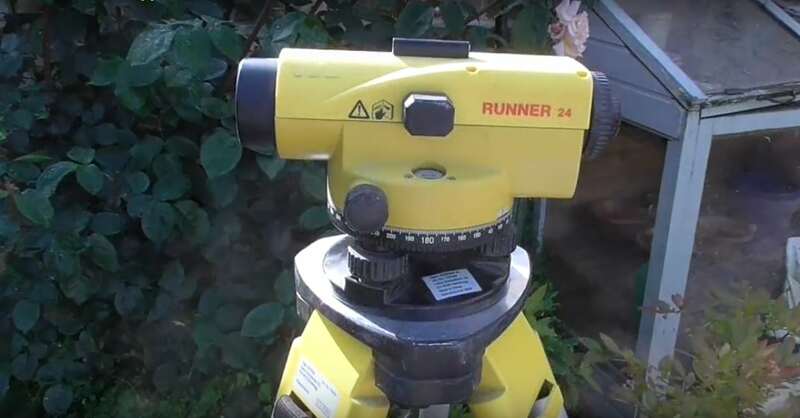 What I see the engineers using here to set up angles and positions of buildings and diggings, etc … they are using sophisticated Digital Theodolite levels. Both, the transit level and the builder’s level are quite old instruments. I mean they’ve been in the construction and surveying industry for many many years, maybe hundreds of years. Some level manufacturers they still put their money into these tools and update them and bring them into today’s industry requirements … but even so, these two tools are very basic. Let’s talk a little bit about each one of them. 1 What Is A Builder’s Level? 2 What Is A Transit Level? 3 How To Use A Builder’s Level/Transit Level? 3.2 How to level the transit/builder’s level? 4 How To Read The Builder’s/Transit Level? 8 Where to buy transit levels? What Is A Builder’s Level? It’s a very very simple tool, nothing fancy about it. It’s cheap and very basic but it will do the job! A builder’s level is an optical instrument used in constructions to check on level points and elevations. It is used in surveying and building and in transferring, setting, or measuring horizontal levels. Some of you might know the builder’s level by the name of “DUMPY” level. This is how a modern updated version of the builder’s level looks like. It is primarily a leveling vial attached to a telescope. The leveling vial consists of marks called graduations used for centering the bubble. It works by attaching the telescope to a leveling head and mounting to a tripod. The telescope is at the top of the builder’s level. Its purpose is to magnify distant objects, it moves horizontally around a graduated horizontal circle which is marked at each 1 degree up to 360 degrees. The graduated leveling vial is used to level the telescope while being placed on the base. This works much like a traditional hand spirit level. The base plate is the area where the level is attached to the tripod. What Is A Transit Level? A transit level is an optical instrument or a telescope that has a built-in spirit level. It is mounted on a tripod stand. It is used for surveying and building and for determining the position of lines and objects. They are very precise, are used to establish a reference line and to provide a reading of angles in precise measurements. A transit level consists of the actual transit level, a tripod base, a tape measure, and a calibrated rod. The telescope is located at the top of the transit level. Like the builder’s level, the telescope moves horizontally around a complete circle. The horizontal circle is marked at each degree. Unlike the builder’s level, the transit level also moves vertically at 45° in either direction. The spirit level is used to level the telescope while it is being placed on the base and works like a hand level. The leveling vial is placed above or below the barrel of the telescope. There is also another spirit level built into the base that is used to level the base of the transit level. The alidade is the entire upper part of the transit level. It consists of the telescope, the leveling vials, a circle-reading device, and a spindle. The alidade is mounted on the alidade spindle, which is the inner center of the instrument. A Vernier scale is a scale that moves around the main scale and is used to determine angular measurements that the original scale cannot read. Most transit levels use double vernier, allowing the angles to be read in multiple directions. How To Use A Builder’s Level/Transit Level? Both levels need to be installed on a tripod. Depending on the age of your level and the brand this might come with a different mechanism to attach it to the tripod. When setting up a level, have the right tripod since tripods have different types of heads. For a threaded tripod head mount, remove the threaded protective cap. Unthread the level and screw on the tripod head. After thread the protective cap onto the case mount. Place the level directly on the tripod after, thread or bolt onto the tripod base. How to level the transit/builder’s level? These level are not self-leveling, so you’ll have to do it manually! These levels are using a four screws leveling system. 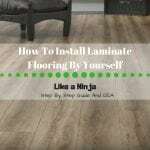 That means you will have to lose and tighten the screws until the spirit level on these devices are showing you that it’s completely leveled. First, align the bubble level with two opposite screws and we SIMULTANEOUSLY we start to lose or tight the screws until the bubble is in the middle of our level indicator. Now, we want to level the instrument on the opposite axis. For that, we align the bubble level with the other two pair of opposite screws. Once this is done, we go back to the earlier position and check again if we need to make any adjustments … we will go back and forth a few times until it’s completely leveled. How To Read The Builder’s/Transit Level? You use the eyepiece of the telescope. Turn the knob to bring the crosshairs into focus. The horizontal graduated circle is a guide marked with degrees, used for reading horizontal angles. The horizontal tangent knob is used to adjust left and right. The vertical tangent knob to adjust up and down. The vertical lock knob locks the vertical direction in place. Use the leveling to adjust the device level. In this video, you can see how a transit level is used and how to read the Vernier scale. When the objective lens is not in use, it should be covered with a lens cap to prevent damage to the equipment. Do not lift your level by the telescope, lift by the base. Turn both screws at the same time and rate when leveling a transit level. Make sure the level is level around all 360° of direction, if not the measurements will be incorrect. Ensure screws are not too tight. Do not look at the sun using the telescope. The image being sighted is sharpest when it is quartered by the crosshairs. Do not touch the tripod at any time after the transit level is mounted. This can cause problems with the measurements as well as the accuracy of the level. First, NONE of these two are laser level devices…you will use the telescope to look and find your points and the downside of using this kind of leveling devices is that YOU NEED TO BE AT LEAST 2 PEOPLE in order to make your measurements. Both transit level and builder’s level have similarities. But they do have their differences though…and it’s mainly one! HERE IT IS: A builder’s level moves only horizontally, while a transit level moves both horizontally and vertically. Transit levels are preferred over the builder’s levels for establishing straight lines as well as turning angles. The transits level also has more parts than a builder’s level. The telescope of a transit level if locked into place, works almost exactly like a builder’s level. A builder’s level can move 360 degrees in a horizontal plane when the telescope is not locked into place. Transit levels, with their vertical movement mechanism, are great for measuring vertical angles. A builder’s level is inexpensive and easier to use. A transits level, on the other hand, is costly and requires expertise to operate. Where a builder’s level is cheaper and less complicated to operate, a transit level is more precise and can be used to measure vertical angles. Transit levels are preferable over the builder’s level for establishing straight lines as well as turning angles. The choice between the two levels will depend on work but the transits level is more versatile. Where to buy transit levels? But, I would suggest having a look on Amazon of course. It’s impossible not to find something on there. Here are a couple of links to Amazon if you want to check price and pics for these items. In summary, both transit levels and builders’ levels are essential pieces of equipment in any construction project. Getting the right tool will ensure precision measurements and reduced occurrence of errors in alignment. Pick the appropriate level to suit your project’s specifics. 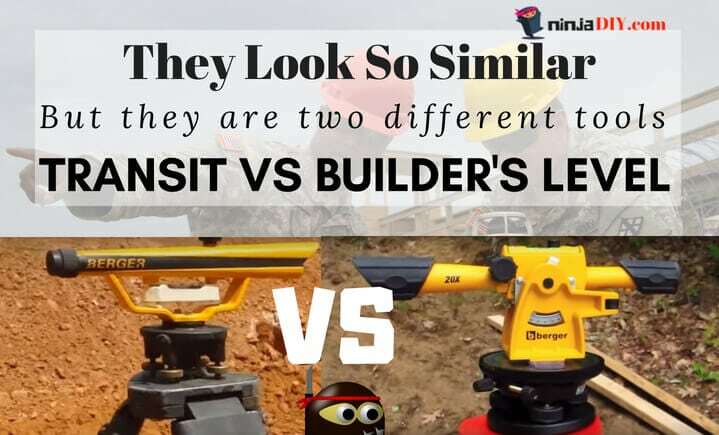 As I’ve said at the beginning of the article as well … I haven’t seen the builders level on a construction site … so I don’t know if anyone is still going after this tool nowadays … but I hope this Builder’s VS Transit Level article helped you understand a little bit more about these two tools! Are you using any of these levels? What for? Let me know, I love to know what other ninjas are doing out there! Stay Safe Ninjas and Happy DIYing! Did You Liked It? Rate this post! Hello everyone. I’m Adrian, I’ve been working in the construction industry for the last 5 years or so … doing all sort of jobs from handyman to crane operating and everything in between :) I am a blogger as well at ninjaDIY.com … where I talk about anything related to construction, building, power tools, DIY home improvement and much more. Builders: Wanna Know What’s The Best Bluetooth Speaker For Construction Sites? 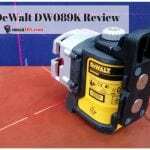 Makita Radio That Charges Batteries – Is There Such A Jobsite Radio Available On The Market? Water Levels Vs Laser Levels | Which One Is Best To Use For My Projects? Hey there … this is Adrian (and my very good friend and colleague Lindomar) and I want to welcome you to the place where ninja DIYers and Construction PROS are hanging out! Please join us in building the best DIY community on the web! Here you can read more about us!